Former trainer to now retired undefeated boxing maestro Andre Ward, Virgil Hunter, has given his reaction to last weekend’s Sergey Kovalev knockout defeat to Alvarez in Atlantic City. Kovalev famously fought Ward twice and lost on both occasions in recent years before Ward made the decision to retire from the sport and go out on top. So ex-Ward trainer Hunter knows a thing or two about Kovalev having studied him heavily before both fights. As well as engaging in some bitter words at the time with former Kovalev coach John David Jackson. 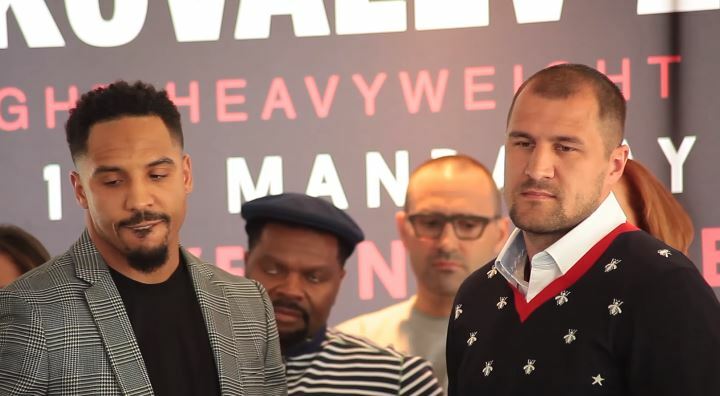 Both fights have still, to this day, left a controversial taste in the mouth of some boxing fans but when all is said and done the record will read two wins for Ward and two defeats for Kovalev. Some have commented since the fight at the weekend that it might be very well the last time we saw Kovalev in the ring. Boxer Frankie Buglioni even mentioned that (in his view) Kovalev’s alcohol habits caught up with him in the end. Time will tell, but I’d imagine we’ll see Kovalev back in the ring at least one more time.